Our grill stands are built for your convenience in your Backyard, on your Deck/Porch or Catering Events. 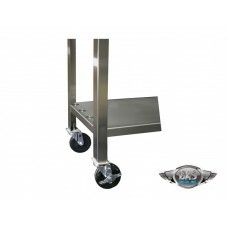 All of our grills include detachable legs, however grill stand is solid construction with your choice of adding caster wheels. 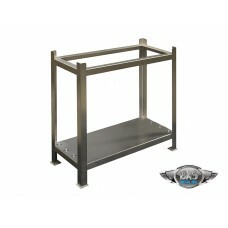 Stainless Steel Lower shelve Included. Excellent approach to fit it in your outdoor Kitchen Area.